How can ‘attributes’ be used to boost local marketing potential? 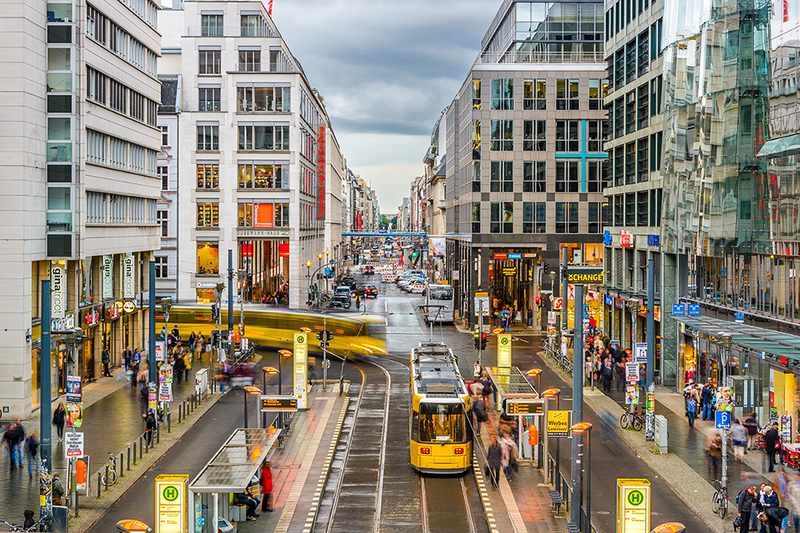 These examples – Berlin and San Francisco locations – show how leveraging business attributes can provide potential consumers with a richer search. Marketing comes in many forms: The big, bold and splashy, the viral and networked and, indeed, the nitty-gritty. All of these have their place, but right now, I would like to focus on the latter – particularly, attributes, and how they can boost your local marketing potential. To do this, let’s compare two cities where tech has made a home for itself: Berlin and San Francisco, and let’s see how the meticulous curation of digital attributes can contribute to a harmonious and efficient local marketing programme. 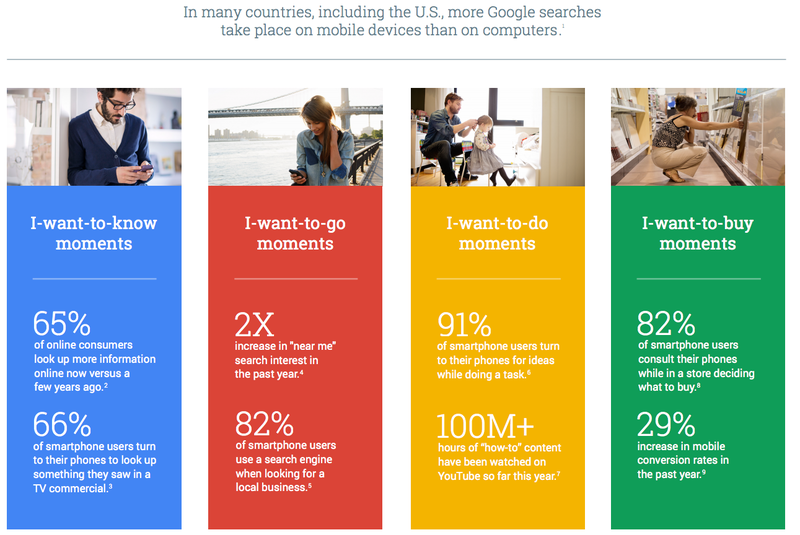 Google calls them ‘I-want-to-know, I-want-to-go, I-want-to-do, I-want-to-buy moments’ – when decisions are made and preferences are shaped. Check out this infographic here. Enabling a richer search: what are attributes? 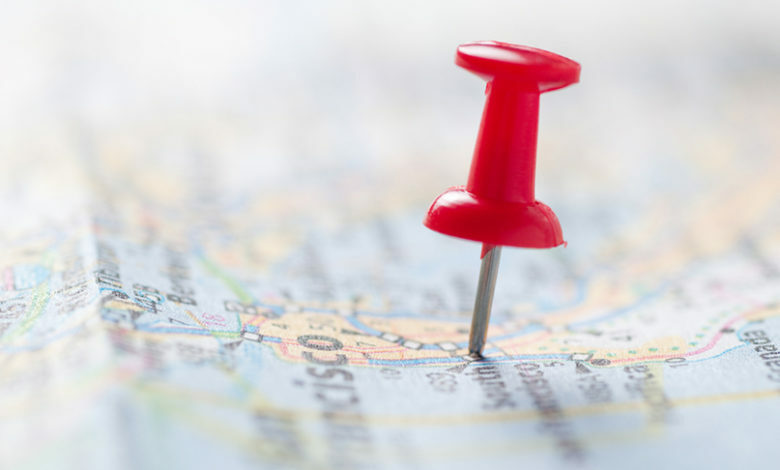 Starting about two years ago, Google began to ask users for details about business locations. This included asking users about opening times, how they rated the service but also details which could be used to better identify the business. Were there stand-out features? For example, did a restaurant have a roof-terrace? Users willingly and eagerly supplied Google with the information required to enrich Google My Business and Maps with accurate real-world data about locations. These details were packaged into discrete data points which Google called attributes – transforming static locations into more dynamic entities. This enabled broader searches to apply to the location. For example, not only would a Chinese restaurant show up for ‘Chinese restaurant near me’, locations could now also capture more narrow searches such as ‘Chinese restaurant near me with good parking’. These searches would therefore act as a form of self-selection on the part of consumers: they would simply be able to find what they wanted, much more easily. And, in a world where 82% of mobile searches are about goods and services near to the user, having context-specific information has become a game-changer. A quiet game-changer, maybe, but one which sees the locations with the most relevant, correct and up-to-date online location data and attributes win the day. So, let’s take a look at what attributes would be relevant in Berlin and San Francisco. Berlin is renowned for many things: ultra-hip nightlife, stripped-down music and increasingly, start-ups. Everything from fintech operators to mapping specialists have made the German capital their home. Add to that mix a solid base of independent stores, a surprising and ever-diverse assortment of neighbourhoods and a world-class gastronomic scene and you have a pretty unique city. So why is it so hard for tourists to find a decent place to eat? For this, I invite you to Kreuzberg. The formerly-alternative-now-hip neighbourhood is home to some of the city’s best restaurants and bars – and yet, when tourists come, they sometimes complain about having a terrible time here. Why exactly? Well, they often don’t realise that in Germany, and in Berlin, you often won’t be able to pay by card. Believe it or not, a global city for tech and industry actually lags behind in everyday payment options – there are historical reasons for this, including a fragmented banking sector and high costs for card payments on the business side – but tourists come to the city with the expectation that they can walk into a restaurant, eat and stick it all on their VISA. Well, unfortunately, that’s wrong – and it’s not uncommon to hear tourists complaining of bad nights out where they ate then made desperate pleas with the restaurant to sort out a quick run to the ATM. So, businesses which facilitate card payments and then list this as an attribute on Google My Business will most likely capture a lot of foot traffic. A short subway ride away and you’ll be in Prenzlauer Berg. More grown-up than Kreuzberg, having Europe’s largest concentration of new parents, it’s important for the locals here to know where it would be an appropriate place to take their children – or where they can get away from kids for a short time. While there would be no shortage of places on offer already known to locals, there is a completely new opportunity for otherwise hidden locations to demonstrate themselves as child-friendly. They could use Google attributes to demonstrate their hip cafe’s new ability to offer children something diverting, so that the parents can have some time to themselves. Or indeed, if the parents have a babysitter for the evening, maybe they’d like to know if a place is child-friendly, so they can avoid it! Like Berlin, San Francisco is known for for food, tech and its spectacular social mix. As one of the United States’ major cultural hubs, there’s no beating San Fran for its ability to combine tech genius with artistic output. That being said, most bars in the city will be closed by 2am, so locals know they don’t have to search for bar opening times. If you want to experience something truly unique, the Kreuzberg of San Francisco is The Mission. And yet, the true mission is finding a parking place. Such is the congestion of San Fran’s roads, that it can take upwards of 20 mins finding where to park (even if it’s outside your own house). 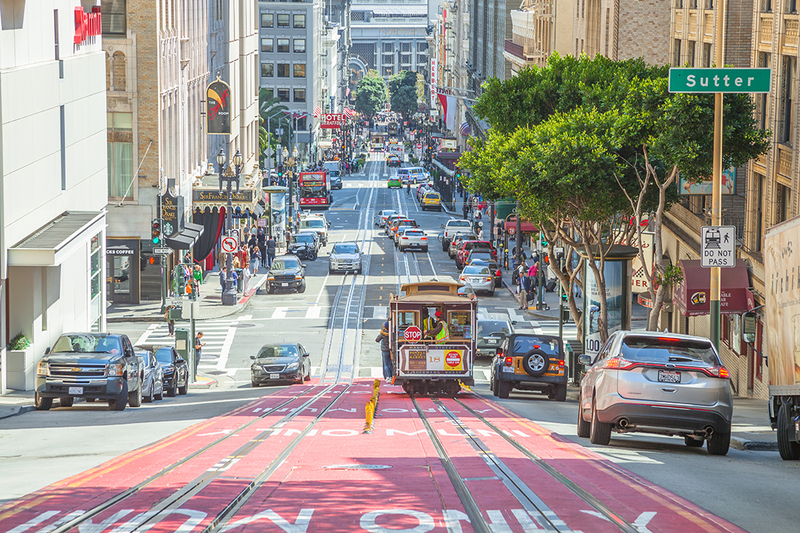 Needless to say, parking is a real advantage for a business – with businesses in the creative Mission district actually receiving more foot traffic if they have solid parking. Therefore, all a business would have to do is to directly benefit from the increased use of satellite navigation systems – if you do, let Google know. It’s not a compliment to San Fran saying this applies to all districts and areas, but you need to know if a place has outdoor seating – just in case the temperature manages to soar into the low 70s! All kidding aside, if the sun comes out and the city basks in warmth, a single block of sunshine will be fought over as competitively as real-estate in the city. Therefore, businesses should list as attributes any outdoor seating they have, whether that’s terraces, gardens or balconies and enrich their Google My Business profiles with beautiful photos of their locations in full, glorious sunshine. Oh, and you should also mention if you have wifi. Although attributes aren’t new, they play an influential role in customers’ buying decisions. Google described 2017 as the year of the micro-moment – when consumers search near them for things to buy or do spontaneously, in real-time. 82% of smartphone users search for businesses near them, and the number of searches had doubled between 2015-16 and 2016-17. These micro-moments can be intervened in by businesses – through advertising, or simply leveraging the data they already have. One of the ways to do this is to use attributes, since they provide the information the customer is already looking for, within the micro-moment. Obviously, the examples I’ve drawn above about different neighbourhoods is simply for illustration, but there is a point – get down to amending your attributes and draw customers in. uberall is a major digital location marketing company and maker of the Location Marketing Cloud. The cloud enables businesses to list all their locations online, boost local SEO, capture new customers and stay in touch with customers through social media and review sites – all from one cloud-based platform. 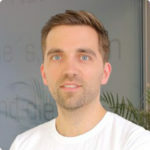 It counts among its clients and partners Vodafone, United Internet and 1&1.